Do I Need a Pro to Install Bathroom Vanities? How Can I Improve my Home Office? A kitchen is a place where you and your family will spend a great amount of time. A professional kitchen designer will bring value to your home by designing a kitchen with high quality products, specifically customized to your space. At Visionary Cabinetry & Design, our design experts will provide you with more options and practical kitchen features for your lifestyle. You know that old saying quality over quantity? When choosing kitchen cabinets you will want to choose quality over the cheaper price EVERY TIME. Some people will choose the cheaper quality cabinets when redoing their kitchens and end up being disappointed in about 5 years because their cabinetry did not hold up well or function as expected. If you choose cheaper cabinets the first time around, you may end up spending more in the long term when you have to replace them again. If you plan accordingly when designing your kitchen, you will have long term value for the price you paid. The quality andcraftsmanship of the kitchen cabinets are crucially important factors when you are searching for the best value. Quality products and good design will end up saving you money and time. When remodeling your kitchen, hire the best kitchen designer from the beginning. A kitchen design expert will get the project done the correct way, will ensure that your kitchen remodeling plan stays on schedule, and will work within your budget. Remodeling a kitchen is a big process with many design selections to choose from. With so many choices, it can be very easy to spend your budget improperly. 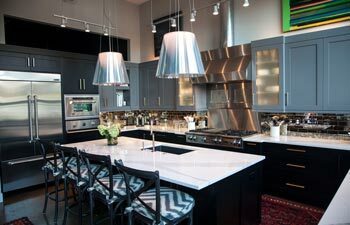 A kitchen expert will be able to take care of all the design details to help you stay within your set budget. A new kitchen will offer the largest percentage of a return on your investment – so having an expert design your kitchen,with the best quality of products, will end up saving you money by not having to take the time to replace them too quickly. A kitchen is not just about good cabinetry; it is about creating a great environment that will match your family's lifestyle. The truth is, anyone can sell you cabinets but only a great kitchen designer thinks about the numerous different details that will create an astonishing aesthetic that stays within your budget. Would you prefer your kitchen be covered with boring boxes at a cheap price or have the best use of the space in your kitchen designed in the most functional and beautiful way? View our kitchen product gallery of completed projects and see that the difference is in the details. A cabinet salesperson is NOT the same as a kitchen designer. You will make the biggest mistake if you skip design services for cheaper priced cabinets through a salesperson. A kitchen designer will review your kitchen layout and not just look at how many cabinets you can fit into the space, they will also discuss how you will use the space, look at kitchen appliance options with you, and help plan and prioritize a budget that fits your needs. A designer will ensure that all elements of your new kitchen will fit to the best of its ability. A professional designer stays with you throughout the entire project. A designer will manage all the details from the design and ordering phase, all the way through to the intricate process of delivery and installation. A true design service experience will take the stress out of designing your kitchen by coordinating the delivery of all the materials purchased for your job. 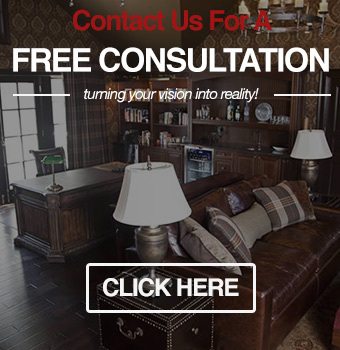 Our team at Visionary Cabinetry & Design will provide you with a complete beginning to end experience. We will help you turn your kitchen dream into a reality! If you are interested in one of our kitchen remodel services or if you have any questions regarding your kitchen cabinetry, please contact our Oakland County kitchen design contractors at (248) 850-7178. At Visionary Cabinetry & Design, we pride ourselves on our high level of professionalism and excellent customer service. We proudly offer services in Michigan including: Troy, Farmington Hills, Rochester Hills, West Bloomfield, Bloomfield Hills, Royal Oak, Clawson, Plymouth, Beverly Hills, Northville, Birmingham, Oakland Township, Grosse Pointe, Grosse Pointe Woods, Grosse Pointe Farms, Grosse Pointe Shores, Grosse Pointe Park, Bloomfield Township, Bloomfield Hills, Bloomfield Village, Canton and other surrounding cities.